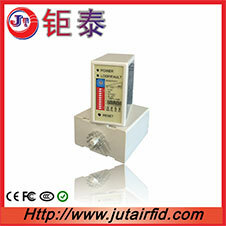 With signal attenuator, reading distance can be adjusted from 1 to 120 meters，which can solve customers` s different requirement in real application. 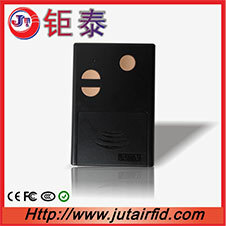 Adopts frequency Hopping& multi-type address technology, Strong encryption to card info by the unique program encryption technology, data transmitting to reader after multi-type checking way for data processing. 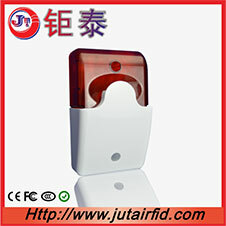 JUTAI RFID Long Range Parking Reader with Orientation Identification in Parking Application, the work cope is less than 180 degree. Integrating with digital attenuator system for controlling reading range, which can solve customers` s different requirement in real application. 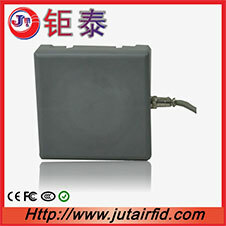 Low Frequency Activation(125KHZ) Reader and activator integration as one part, dedicated for parking application. With 125K low frequency activation, and which can control the reading range effectively.it is main for standards parking application. How to use our Long range reader for car parking system? With Wigand, RS485 Data format output which can easy to integrate to different access control system. 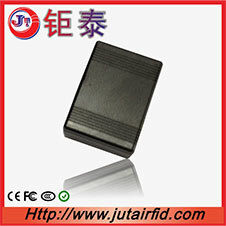 Why Mid Range Reader?What it compare tradition Access control? 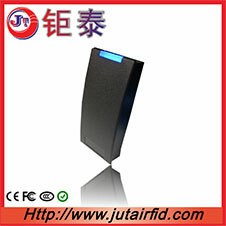 Write the card ID though the desktop device, which can instead of the complicated parking controller and main for easy parking management application. Data transmission after the unique program encryption technology, and the multi-type checking way for data processing be used. 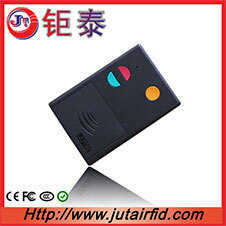 The control broad has enough memory which can store 1000pcs card ID.it work with JT series Smart RFID tag and as the remote control receiver, it is a perfect solution for instead of the traditional remote transmitter and receiver in market.it is high safe and reliable solution. 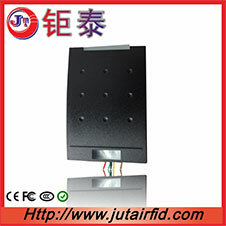 It can be as the main controller and main used in the Door access control system, elevator management system, parking management system, automatic rolling gate system,RFID Remote Control gate etc. The LD-100 loop detector is an intelligent, extremely flexible and very affordable product. The LD-100 is designed to accommodate numerous applications, can be adjusted intelligently to any environments and virtually eliminating false detection. If intermittence happen or failed loops get self-healed, the detector will resume to normal operation without manually reset the detector. Self-tuning & complete environmental tracking. Two-color LED status indicator for Detect, Power, and Loop Fault indication. 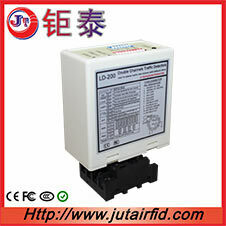 The LD-200 loop detector is an intelligent, extremely flexible and very affordable product. The LD-200 is designed to accommodate numerous applications, can be adjusted intelligently to any environments and virtually eliminating false detection. 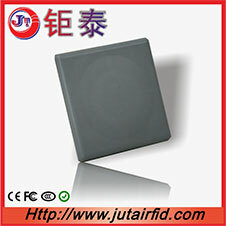 CH1 Detecting Led:Continuously On: Indicates vehicle detection. Blinking slowly: Indicates loop is short circuit or the number of twists after the loop is not enough. Blinking fast: Indicates loop is open circuit or too many twists after the loop. CH2 Detecting Led:Continuously On: Indicates vehicle detection.